· First-trimester use of 4 or more medications has nearly tripled and the use of 4 or more medications over the course of a pregnancy has more than doubled. As is the expectation of medication users, a forewarning of the risks involved in the consumption of drugs is to be clearly labelled on its package, more so drugs to be consumed by pregnant women, whose precarious position necessitates greater care in drug use. To ascertain these risks, tests are usually conducted on animals and persons alike, with the purported effects then labelled on medication packages. A dilemma thus ensues as to the safety of drugs to be consumed by expectant mothers, whose delicate position has largely precluded very many tests targeted towards drug safety during pregnancy from being carried out. This inevitably has led to a lack of stark clarity in drug effects on pregnant women, a situation which the United States Food and Drug Administration has attempted to alleviate by devising labelling rules to govern the display of risks associated with medication consumed during pregnancy and lactation. These rules are the Physician Labelling Rule of 2006 and the Pregnancy and Lactation Labelling Rule issued in 2014 and taking effect in 2015. Adequate and well-controlled studies in pregnant women have failed to demonstrate a risk to the fetus in the first trimester of pregnancy. Animal reproduction studies have failed to demonstrate a risk to the fetus, but there are no adequate and well-controlled studies of pregnant women. Or animal studies demonstrate a risk, and adequate and well-controlled studies in pregnant women have not been done during the first trimester. Animal reproduction studies have shown an adverse effect on the fetus, but there are no adequate and well-controlled studies of humans. The benefits from the use of the drug in pregnant women might be acceptable despite its potential risks. Or animal studies have not been conducted and there are no adequate and well-controlled studies of humans. 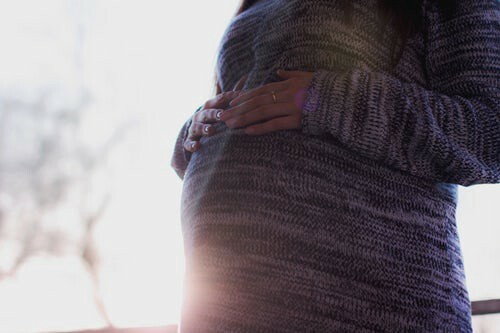 There is positive evidence of human fetal risk based on adverse reaction data from investigational or marketing experience or studies of humans, but the potential benefits from the use of the drug in pregnant women might be acceptable despite its potential risks. Studies in animals or humans have demonstrated fetal abnormalities or there is positive evidence of fetal risk based on adverse reaction reports from investigational or marketing experience, or both. The risk involved in the use of the drug in pregnant women clearly outweighs any possible benefits. This classification system is intended to guide informed decision making for pregnant women, prior to drug consumption and fetal exposure, with the added advantage of being simplified and easy to use. This simplicity, however, proved to be its undoing, as its grouping unwittingly created more confusion in its attempt to allay fears. Originally lauded for its simplicity and ease of reference, the lettered labelling system for prescription medication soon became a matter of contention, as consumers easily interpreted their significance to be a grading system of sorts. For instance, consumers would interpret a drug labelled A to be of greater safety than that labelled D; likewise an avoidance of drugs labelled X, whose ominous lettering could easily be interpreted as a drug of weak safety. Ditto the fact that the labelling system failed to stipulate the latent risks posed by forgoing medication intended to remedy life-threatening maternal medical conditions to ensure guaranteed fetal safety. The system also failed to distinguish between the sources of its data, where for instance; a drug could be categorised owed to the absence of risk in animal fetal studies, without corresponding controlled tests being carried out on humans. It thus made the risk-benefit assessment of drug consumption for pregnant women difficult, leading to continued discontent with its provisions. Following the continued concerns and harsh scrutiny meted out on the lettering system for drug labelling, the Food and Drug Administration in 2008 announced the elimination of the drug categories, which are to be replaced by narrative framework containing 3 sections, providing information on Pregnancy, Lactation and Males and females of reproductive potential. It requires drug manufacturers to generate data for both pregnancy and lactation, using distinct human and animal data, as well as reproductive risks which are likely to arise upon drug consumption. The rule which shall apply to prescription drugs manufactured on or after June 2001, shall provide much-needed information on drug effects, as it shall require the formatting of drug labels which previously adopted the letter system, to be replaced with the risk summaries of said drug. It is doubly lauded for clarifying the ambiguity of risk attached to drug use. Under these rules, drugs which are under the same categories may have different degrees of risk attached, a distinction which was staunchly overlooked by the previous letter system. The Pregnancy and Lactation Labelling Rule shall also contain a section on risk assessment that details the course of action to follow the inadvertent exposure of the fetus to a harmful drug. Despite being nothing short of revolutionary in the prescription medication sphere, the Pregnancy and Lactation Rules are not without a fair share of challenges. Principal of which is its requirement of human data on the effects of drug use on humans, specifically pregnant and lactating mothers. As pregnancy and lactation require considerable care to be taken in protection of both mother and child, drug effects on expectant and newly delivered mothers (which sometimes may require harmful controlled testing) is a field of medical research which is greatly underdeveloped. As a result, pregnant women are more likely to be exposed to dangers where the studies of risk in human drug consumption and vaccinations are lacking. Another concern raised is the plausibility of manufacturers to state clearly and in detail, the likely risks involved in drug consumption, to be labelled in usually concise drug packages. Also of concern is the likelihood of revising drug labelling upon the discovery of new information on drug effects. The health industry through laudable concerted efforts, as seen in the implementation of the Pregnancy and Lactation Labelling Rules, is becoming increasingly safe. While challenges such as research restrictions and the challenges towards labelling updates might seem daunting, the next step towards increased safety can be seen in making the Rules increasingly comprehensive and setting out means through which sensitive data can be successfully collated with limited risk toward parties affected, using evidence-based, unambiguous information to ensure the safety of mother and child. Serial daydreamer, with a passion for health and wellness. I’m a content strategist and freelance writer with an opinion on everything.